La note a été taggée English, IrDA, Mac OS X, Palm. 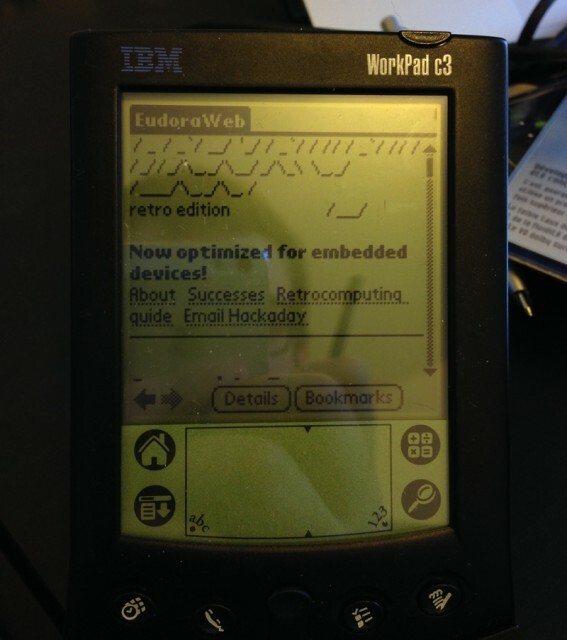 I found an IBM WorkPad C3 at a low cost, in perfect condition, and running under Palm OS 3.5 (I’ll put it under Palm OS 4.1 one day). 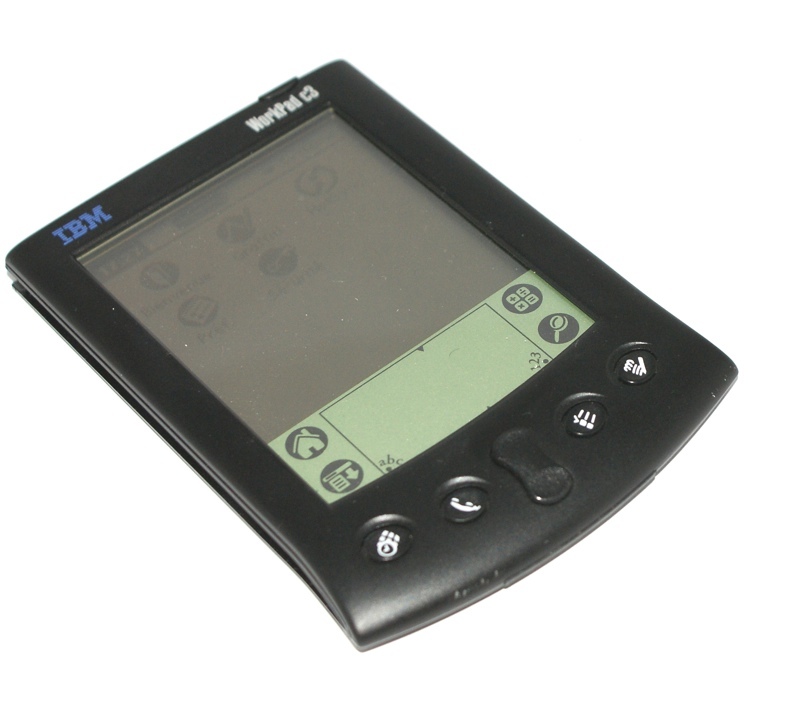 The WorkPad C3 is a clone of Palm V(x) manufactured by IBM. The main difference is that it is black, which makes it some classy. For my first try, I used Windows XP, with a program called Mocha PPP. It’s pretty simple : put the Palm on its dock, connect it to the computer (in my case, with a serial/USB adapter and a virtual machine) and configure. 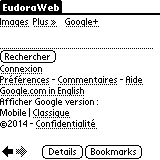 After a few mistakes, especially to find a functional browser, it worked. I was a little disappointed to see it had to go through a cable and Windows. So I searched a bit about how to do it wireless, it’s much more fun, and with Mac OS X. First thing, get a Mac with infrared. I did not really want to test it with my iMac (although it should work), so I took out my USB adapter. Then I looked for how to do it. 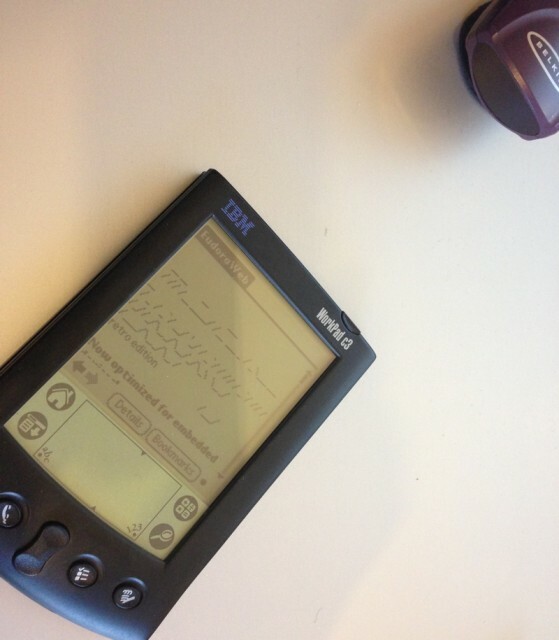 There are a lot of tutorials to do it via Bluetooth, but my Palm does not work on Bluetooth. Then I realized that connecting via Bluetooth, via serial or via IrDA did not really matter : in all cases, a PPP serial link is required. On the Mac side, it’s easy, you simply have to type four commands. 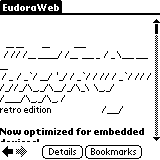 Please note that it worked on Leopard with an old machine, but I got an error with Mavericks. Then you need to find the name of your TTY adapter (tty.IrDA-IrCOMM00001014 for example), then enter the IP address of your Mac (192.168.1.32 in my case) and the IP address you want to give to the Palm (192.168.1.98 out of the DHCP range in my case). Then share the connection. You need to know the name of the network interface used (usually en0). Concerning the Palm, you need at least Palm OS 3.5, and do some manipulations. My screenshots are in French and I do not know English terms for this part , so I’ll let you look for it. You just create a PPP connection and set DNS manually. In the end, even if it is extremely slow, it works, and it must be possible to connect any device capable of PPP on a serial connection in the same way.